Set of pan icon. Simple filled pan vector icon. On white background. 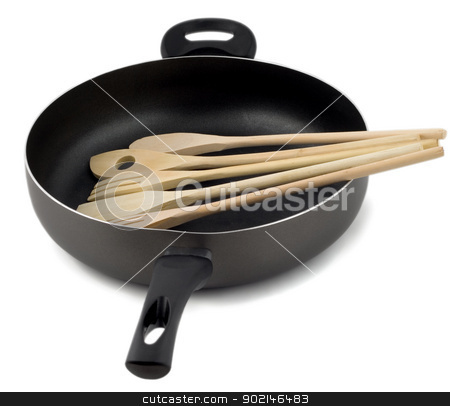 Frying pan with wooden spoon, isolated on a white background.